Hey guys! I am back for the next question of the week! So this weekend on ABC Family, they played a Disney Pixar Movie Marathon. Movies such as A Bugs Life, Finding Nemo and The Incredibles played. I personally love animated films and John Lasseter, the mastermind behind Toy Story, Wall•E, and almost all Pixar movies. Everything he touches turns to gold. For example, Toy Story 3 has a 8.6 rating on IMDB where as Titanic only has a 7.4(but I love Titanic!). 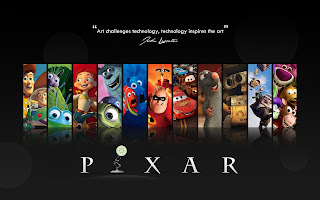 The quote in the picture is from John Lasseter and it says "Art challenges technology, technology inspires the art"
So the question this week is: Whats your favorite pixar movie? 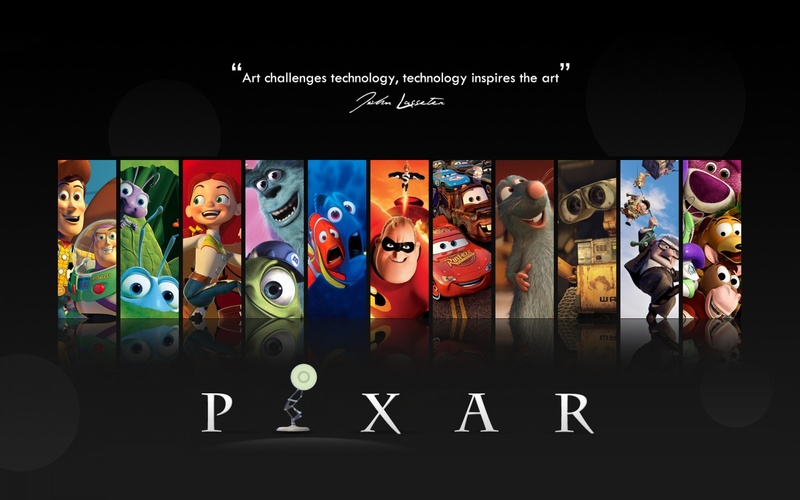 I don't think I could pick just one, I love all Pixar movies. Some of my favorites would have to be Toy Story, Tangled, The Incredibles, and Ratatouille. Oh gosh, my friends and I debate this all the time and I can never decide. It always comes down to liking different movies for different reasons. The Toy Story franchise is untouchable in its perfection, I think I've seen Nemo more times than any of the other movies, I Wall-E was the one I anticipated the most and thought was the most beautiful. Gahhh. I can't choose! Those are probably my standout faves. Oh, and Up! I would say that I like Up the most... well, that and the Toy Story series as well of course. Your list actually brought back a lot of fond memories. Ah, this is almost impossible to answer, lol. But if I HAD to choose, it'd be between Finding Nemo and Wall-E. I do love them all though! I'm going to have to go with Toy Story, I think it's genius. All 3 of them are. Pure genius. I really love Meet the Robinsons too (it's not Pixar though), it's one of the few animated movies that's ever made me cry.